I was originally planning on saving all my Flock Together swap outfits exclusively for that blog, but I've been swapping way more than posting (we each get 1-2 posts a month). I'll start posting a few of the swap outfits here every now and then so they don't just keep piling up. 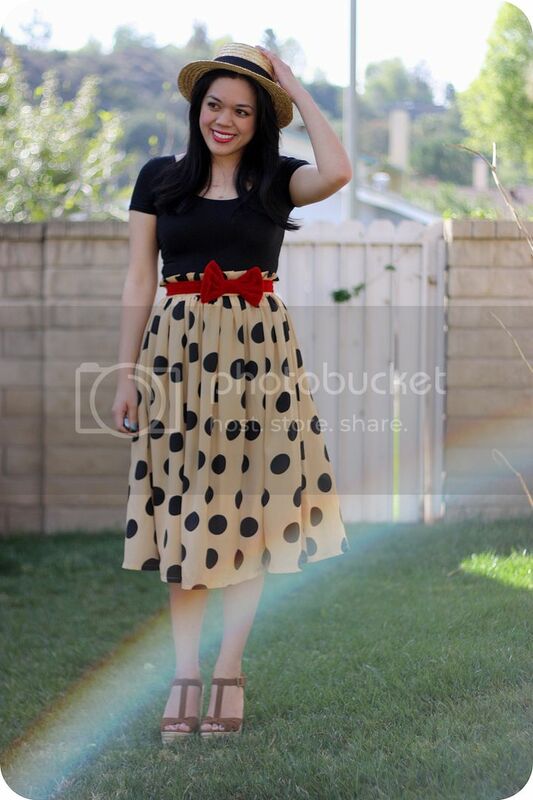 I borrowed this cute polka-dot skirt from Ashley of Southern California Belle. Midi length skirts have definitely grown on me, and I just adore the giant polka-dots and paperbag waist. I seriously hope I can find a skirt just like this because I really like it and was reluctant to give it back. I'll just have to do some hunting. I wore it with a cropped black tee, red velvet bow belt, espadrille wedges, and my favorite boater hat. 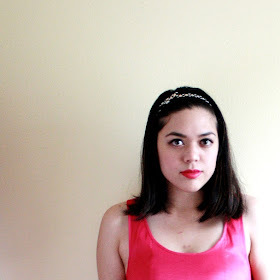 You can see how Ashley wore it (our color palette ended up being really similar!) here. For more swaps and travelling clothes, check out our fashion collective blog, Flock Together.